Did you know that your nervous system has two different aspects that must be in balance for you to enjoy incredible health? As a chiropractor, Dr. Athanasios and Dr. Newman seek to ensure that the “fight or flight” side of your nervous system isn’t overtaking the other that allows you to rest and digest. Most of us in today’s world live life with our body’s gas pedal floored. The chiropractic adjustment acts as a brake, slowing down stress and allowing your brain and body to function at their optimal levels. Once our practice members have started to receive chiropractic care the health improvements their experience are endless. To learn more about these individuals and their experiences in our office, please check out our testimonial page. Each person’s care plan at Pillar is different, meeting their unique needs. Once you’ve gotten through your initial care, we’ll talk to you about a protection plan to safeguard the investment you’ve made in your health. Your plan depends on your lifestyle, the level of stress in your environment and your diet, exercise, and state of mind. We ask that you keep in mind that it took time for your level of health to decrease and that to correct this state of ill health may take time. 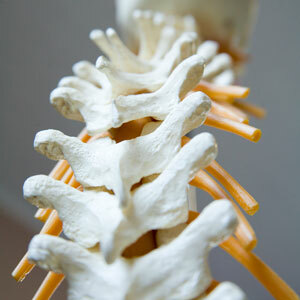 The chiropractors at PILLAR are educated and have been trained in many adjustment techniques giving them the best opportunity to tailor your adjustment specific to you. Contact our team today to book your appointment!